Department of Mathematical Modelling in Mechanics aims to carry out research of world-class excellence in each of a number of groups whose interests span broad and important areas of applied mathematics and mechanics. In so doing it collaborates with strong groups nationally and internationally, and participates in numerous interdisciplinary projects and programmes. It recognizes the crucial importance of research students in research programmes of training through working on demanding research problems under direction of leading mathematical scientists in various areas of Solid mechanics. The tutorial is intended to serve as a quick introduction to the software for the students and gives the detailed descriptions of many problems and their finite element method solutions. Abaqus is a suite of powerful engineering simulation programs based on the finite element method, sold by Dassault Systemes as part of their SIMULIA Product Life-cycle Management (PLM) software tools. 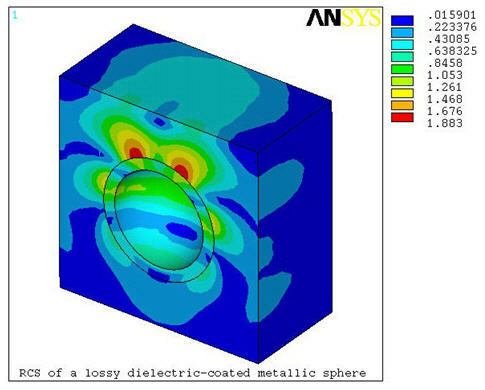 Abaqus contains an extensive library of elements that can model virtually any geometry. You may import geometry from a many different CAD software packages. Using Abaqus, you should be able to use various different material models to simulate the behavior of most typical engineering materials including metals, rubber, polymers, composites, reinforced concrete, crushable and resilient foams, and geotechnical materials such as soils and rock. Photoelasticity is useful as a design tool, to understand complex phenomenological issues, and as an excellent teaching aid for stress analysis. It can be used to study models made of transparent plastics, prototypes made of different materials, and also directly on end products such as glass components. With developments in rapid prototyping and novel methods for fringe plotting from finite element results, the technique is ideally suited for hybrid analysis of complex problems. Our master of science programme is intended to serve a variety of people and purpose. In place of rigity structures programmes, candidates are encouraged to develop their own programmes in accord with their interests and in consultaion with their advisors. Most M.S. candidates are actively involved in research that culminates in the writing of a thesis. The Department�s interests lie in equal measure in both fundamental and applied research as well as in the education of topclass professionals for science, industry and commerce. Samara State University guarantees a high standard of quality of master education in Solid Mechanics. The present configuration of the master programme is in accordance with the standards of the Bologna Process. The master programme aims at a lively academic discourse among students and teaching staff in the relevant field and guarantee an optimum supervision of students. In typical case of Master Programme the student presents a written report detailing the findings and conclusions, relating these to the mechanical and physical and/or mathematical problems being studied and extending the theory beyod that found in the associated lecture courses. The Master Thesis gives the opportunity to engage in independent study, to develop ability at solving mathematical problems in modern environment and cultivate the written presentation skills. The skills learnt are valuable for all students: those entering industry, continuing with research or seeking other empoyment opportunities.